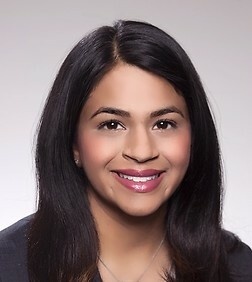 Farha Chowdry is special counsel in the Corporate Practice Group in the firm’s Palo Alto office. Farha has extensive experience in general corporate transactional matters. She has significant expertise working with emerging growth companies through all stages of their lifecycle and venture capital funds in their negotiation, structuring and maintenance of portfolio company investments. Farha also represents clients in complex merger and acquisition transactions. She routinely advises clients in both acquisitions and dispositions of companies and lines of business. Farha represents clients in a broad range of industries, including software, internet games/social media, eCommerce and healthcare. Represented Signet Healthcare Partners in connection with various portfolio company investments. Represented leading provider of mobile banking solutions in connection with its Series E Preferred Stock financing and Series D Preferred Stock financing with investments from venture capital arms of multi-billion dollar companies and venture capital firms. Represented HealthLoop, a cloud-based platform that automates follow-up care, in connection with its Series A Preferred Stock financing. Represented eCommerce company focused on high end women’s shoes, in connection with its Preferred Stock financing. Represented the creator of a real-time job skills trading platform in connection with its Series Seed Preferred Stock financing with investments from venture capital firms and angel investors. Represented Lex Machina, a SAAS provider of data analytics for patent and trademark litigation data, in connection with its Series A Preferred Stock financing. Represented People Power Company, an internet of things company, in its Series B-1 Preferred Stock financing. Represented Celigo, Inc., an integration application software company, in its $8.3 million Series A Preferred Stock financing. Represented Graphic Language in its sale to Zillow. Represented Saffron Technology, Inc., a cognitive computing systems developer, in connection with its acquisition by Intel Corporation. Represented Wolfe Engineering, an electronics solution company, in its sale to Jabil Circuits. Represented Graniterock in connection with its acquisition of Fonseca/McElroy Grinding Company. Represented Entwine Media, a systems software company, in its sale to Extron Electronics. Represented Manufacturing Networks, a semiconductor company, in its sale to Littlefuse Far East. Represented Lex Machina, Inc., a SAAS provider of data analytics for patent and trademark litigation data, in connection with its acquisition by LexisNexis. Represented Amedica Biotech in its sale to Alere. Represented Estate Assist, Inc., an online solutions provider for securing and sharing online and offline account information, in connection with its acquisition by DocuSign, Inc. Represented ServiceMesh, an enterprise cloud management company, in connection with its acquisition by Computer Sciences Corp. (CSC). Represented developer of digital marketing programs in the health care industry, in connection with its acquisition by a wholly owned operating company of WPP. Represented creator of a whiteboard app for the iPad, in connection with its acquisition by LogMeIn, Inc. Represented BringIt, Inc., a maker of internet and mobile casino/arcade style games and a virtual currency game platform, in connection with its acquisition by IGT (NYSE:IGT). Represented Intel-Assess, Inc., an assessment materials and services company, in connection with its acquisition by Wireless Generation. Represented Mohler, Nixon & Williams, a Silicon Valley-based accounting firm, in connection with its combination with Seattle-based accounting firm Moss Adams LLP.